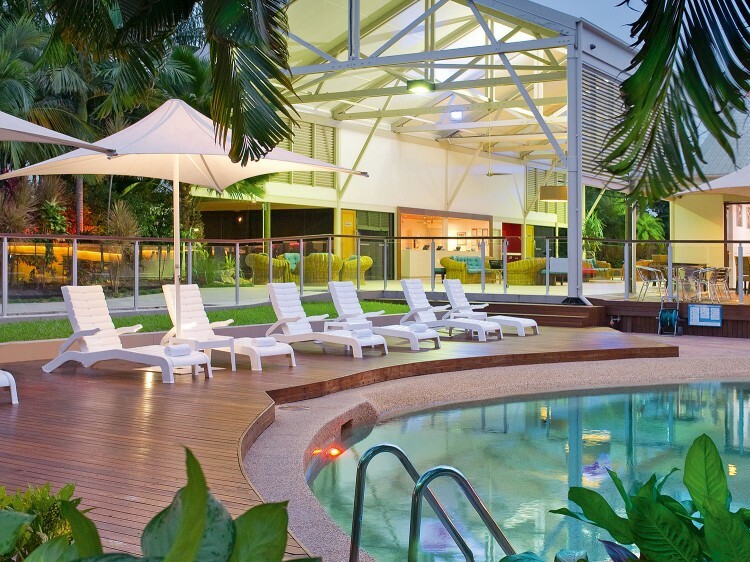 Mercure Townsville is a Resort Style Hotel ideally located close to the city and 2 kilometres from the airport. 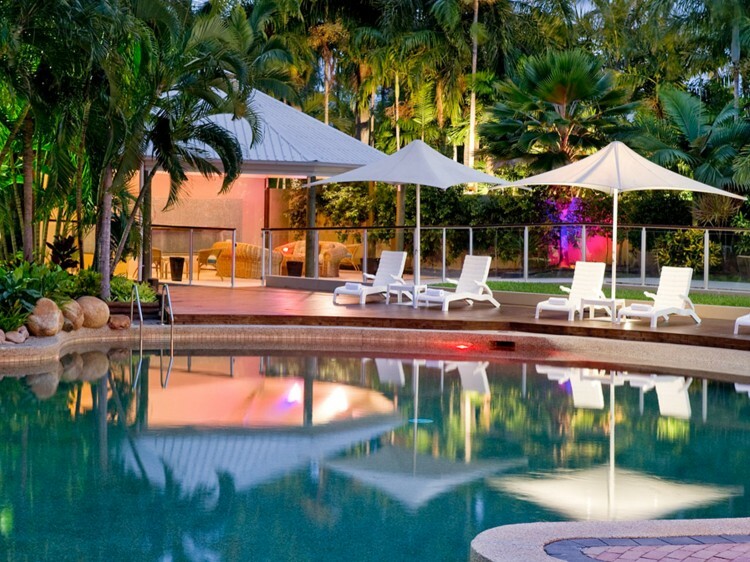 Set amidst 11 acres of lush tropical gardens on the shores of an 18 acre lake, offering a comfortable and relaxed atmosphere. Choose from 144 spacious, well-appointed rooms, offering views across the lake, swimming pool or through the tropical gardens. All rooms have Austar, broadband connection and Pay Movies. 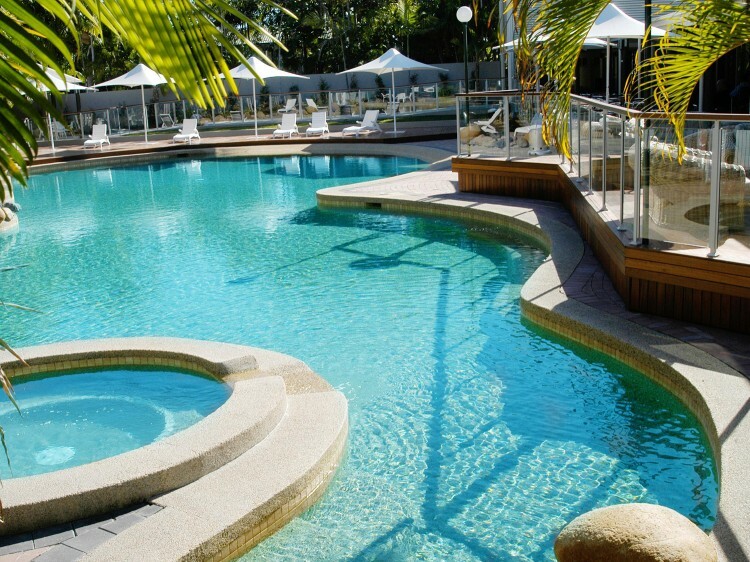 Enjoy Townsville's largest hotel free form swimming pool with spa and areas for the children to enjoy. Hit a few balls around on our two full sized Day/Night tennis courts. The newly refurbished Celsius restaurant offers a fusion style Australian menu with a Mediterranean, Thai and French influence in a relaxed and inviting ambience. Choose to seat either inside or outside overlooking our lagoon style pool, enjoying a glass of wine, refreshing beer or one of our signature cocktails. 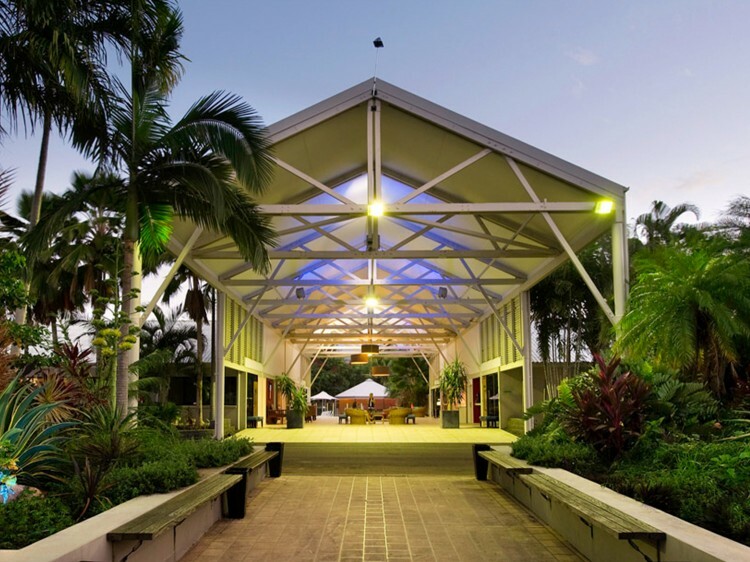 Mercure Townsville is a great base to explore the delights of the Great Barrier Reef, local rainforests or the abundant attractions the area has to offer. Photo ID and a credit card pre-authorisation will be required on check-in for all bookings.